Black Panther, Marvel’s latest superhero movie, was released in theaters on February 16. Set in the fictional African country of Wakanda, the movie focuses on King T’Challa’s struggle to take on the throne and fix his father’s mistakes. Within four days the film broke box office records, surpassing Star Wars: The Last Jedi, as well as DC’s Justice League. The incredibly successful movie has also broken records in terms of its all-star cast. Black Panther is the first major Marvel movie to feature an all-black cast, along with a black director. 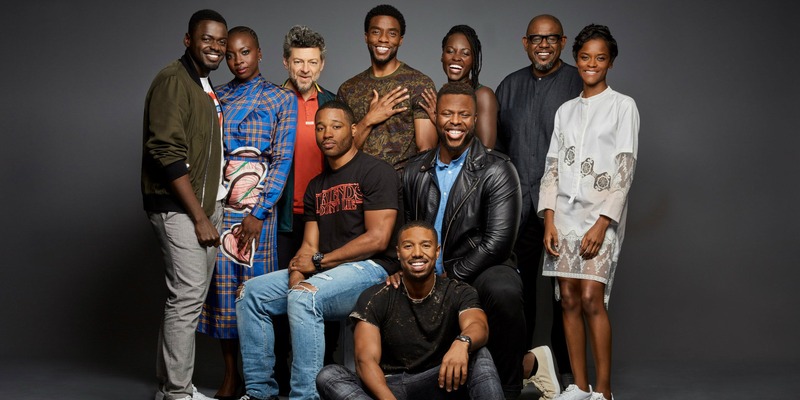 It stars an array of accomplished actors including Angela Bassett, Chadwick Boseman, Danai Gurira, Forest Whitaker, Lupita Nyong'o, and Michael B. Jordan. Its success reflects not only the increasing cultural representation being brought to Hollywood, but also the progress being made by society in its journey for acceptance. Even in today's progressive society, the lack of representation in media is apparent and concerning. Growing up, children of color see predominantly white characters or overused stereotypes of people of color in movies. True ethnic cultures and traditions are not widely celebrated in media. Black Panther marks the start of a new cinematic era that embraces the vast array of cultures around the world. The movie features a person of color in a position of significant power, which is a monumental step toward empowerment. That level of authority, especially in media, is atypical. Black Panther is to people of color as Wonder Woman is to women. Not only does Black Panther provide role models for people of color, but also for women. 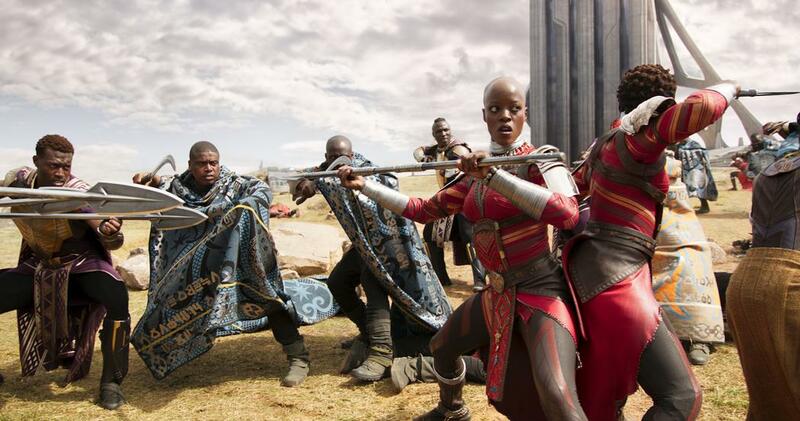 It features characters like Shuri, Okoye, and Nakia, played by Letitia Wright, Danai Gurira, and Lupita Nyong'o respectively. Shuri, the younger sister of T’Challa, is a teenage mastermind, seemingly smarter than Tony Stark, a.k.a. Iron Man. Okoye is the leader of the Dora Milaje, a special team of female warriors that serve the king. Nakia is a spy for the Wakandan throne and often takes on missions in neighboring countries. All three women are incredibly strong characters, and unlike most women in media, were not unnecessarily sexual or portrayed as subservient to men; they were all individuals and were treated as such. The movie impacts women in general, but leaves a greater impression for African-American women. Black Panther features African-American women with their natural hair. When asked for the motivation behind the decision on the Daily Show with Trevor Noah, Lupita Nyong’o explained, “Before the advent of the white man, black people on the continent were doing all sorts of things with their hair, right? So the idea of extensions and and all that, that is not new. But the shaming, or um, rejecting on kinks and curls is new. And so that did come with the white man." Nyong’o explained that because Wakanda was not colonized, it was never exposed to the white race, which meant they embraced their natural hair. In Nyong’o’s own words, “They have their own sense of what is beautiful.” In modern society, even though common perceptions are changing, natural hair, and women that embrace their natural hair are seen as “ghetto,” or less refined. Black Panther helped show that black women can embrace who they are without feeling insignificant. No matter who a person is, or what their background may be, Black Panther has had a way of impacting their view on the world around them. It has inspired many around the globe and is a leading movie in equality, in terms of both race and gender. We can only hope that with this monumental first step, Hollywood will begin to truly reflect the cultures and lifestyles of millions who have been underrepresented. The outpouring of youth in the fight for gun control will be forever remembered in the history of our nation. Here is what Waukesha South did to be a part of that history.